Congratulations to Pacific Northwest National Laboratory's Jay Grate on winning the American Chemical Society's Regional Industrial Innovation Award for his work in developing the patented BSP3 Polymer. The award, to be presented at the ACS regional meeting on June 17-21, 2007, celebrates individuals and teams whose creative innovations have contributed to the good of the community and society. An R&D 100 award winner, this BSP3 carbosiloxane compound collects and concentrates vapor molecules from the air. It can be used in detectors for organophosphorus compounds, such as chemical agents. The polymer's properties enable handheld sensor systems to detect toxic vapors quicker and at lower concentrations than was possible using previous materials. A Laboratory Fellow, Jay leads interdisciplinary research in chemically selective materials, chemical sensors and analytical fluidics. His work integrates chemical sciences, material sciences and measurement sciences into new microanalytical principles, methods and systems. His research spans from fundamental science to prototype development in chemical vapor detection, automated radiochemistry, and bioanalytical microfluidics. 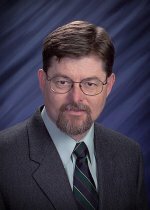 Dr. Grate has worked at the Pacific Northwest National Laboratory for 15 years. He has authored or co-authored more than 100 scientific articles in peer-reviewed journals, several book chapters, and more than a dozen patents. Science publications have taken note of his work, with articles appearing in Science, Chemistry and Industry, Analytical Chemistry, Chemical and Engineering News, and Physics Today.